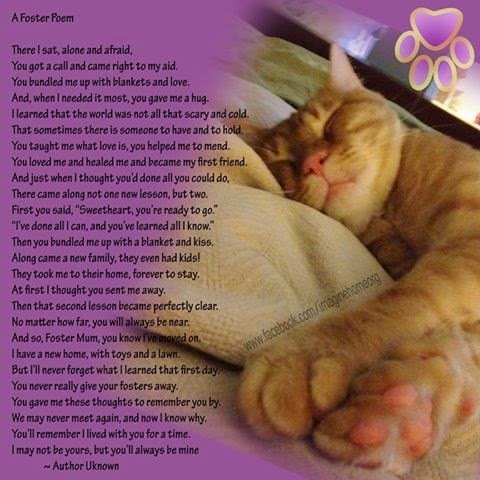 I often think about the animals that I have fostered and have sent on to their new homes. I have loved every one and I hope they are doing well and are happy with their new families. I didn’t write this poem and I don’t know who did but it sums up how I feel perfectly.